"DEAR SHERRY AND HUGH....THIS IS A BLAST FROM THE PAST....I..." "I remember when we moved to Farmingdale, Mrs. Sipowiz,..."
"Dear Sherry and Hugh, So very sorry to learn of Marje's..."
"Dear Hugh and Sherry,Id like you to both know how very..."
"I'm sorry to hear about your mom. She was always so nice to..."
SOMERVILLE, Tenn. - Marjorie "Margie" Nason Sipowicz, 87, resident of Somerville, Tenn., departed this life at 7 a.m., Saturday morning, Jan. 26, 2019, at NHC in Somerville, Tenn.Marjorie was born Aug. 15, 1931, in Gardiner, Maine, the daughter of Leonard and Eva Nason of Hallowell. She was married to Matthew Sipowicz, who preceded her in death in March of 2015. Marjorie raised her family and lived most of her adult life in an historic cape cod home (circa early 1800s) on Hubbard Lane in Hallowell. She moved to Tennessee in November 2014, to live with her son, Hugh and her daughter-in-law, Judi. Margie had many close friends who dearly loved her. She maintained friendships throughout the years with people she knew as a child, high school at South Lancaster Academy, Mass., and neighbors. She loved sending and receiving letters or phone calls. She was a life-long member of the Farmingdale Seventh-day Adventist Church in Farmingdale.Marjorie had several jobs throughout her life starting with Westinghouse in Augusta. 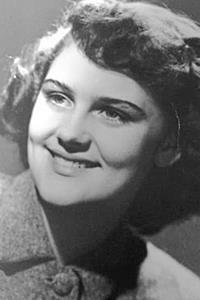 She worked at the University of Maine at Augusta where she obtained an Associate Degree in Liberal Studies, the United States Attorney's Office in Portland, Maine under Senators George Mitchell and Richard Cohen, and ending with working several years at Central Maine Power Company in Augusta, when she retired to care for her mother. She was very well regarded by her employers as a hard worker, always willing to go the extra mile for people. Margie loved to walk and could be found daily, walking great distances around Hallowell. Each person met was greeted warmly and enjoyed a pleasant conversation before she continued her walk. Marjorie was an avid gardener who loved her perennial gardens. Her vegetable gardens were legendary for their bounty. Family and friends were grateful recipients of various vegetables from her gardens. Marjorie was also an excellent cook. She was known for her homemade Italian food, bread, pies, and other treats. Marjorie's knitted sweaters and needle point wall hangings were things of beauty. She loved playing music by Nat King Cole, Frank Sinatra, Brenda Lee, Robert Goulet, Johnny Mathis, and others, as well as all kinds of classical records on her LP record player. She loved singing along with the music. Marjorie also loved her cats very much. Marjorie is survived by her son, Hugh Sipowicz and his wife, Judi of Oakland, Tenn.; her brother, Leonard "Sonny" Nason and his wife, Valerie, her daughter, Sherry Laubenstein, grandson, Blair Laubenstein, all of Hallowell; a grandson, Ian Blethen and his wife, Elisa who live in California; a niece, Lori Nason and a nephew, John Nason who live in Maine.There will be a Celebration of Life for Marjorie, in Maine, this spring.